Katherine’s practice focuses on civil litigation including wills, probate, estate litigation and commercial litigation. Katherine regularly appears before the Superior Court of Ontario. She is a successful litigator representing clients seeking timely and favourable results. Katherine received her J.D. from Western University. 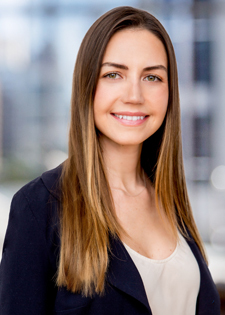 Katherine was called to the Ontario Bar in 2016 and has represented clients vigorously since then. Prior to law school, Katherine graduated on the Dean’s List from Western University where she received a Honours Bachelor of Arts degree in Criminology and Sociology. She also received the Gold Medal for highest standing average in Sociology, amongst receiving other scholarships for academic excellence.